UPDATE: Tweet hashtag #APAassistantTraining for a chance to win a free pass this weekendâ€™s Photo Assistant Basic Training in New York! Get a major head start on a career in the photo industry. 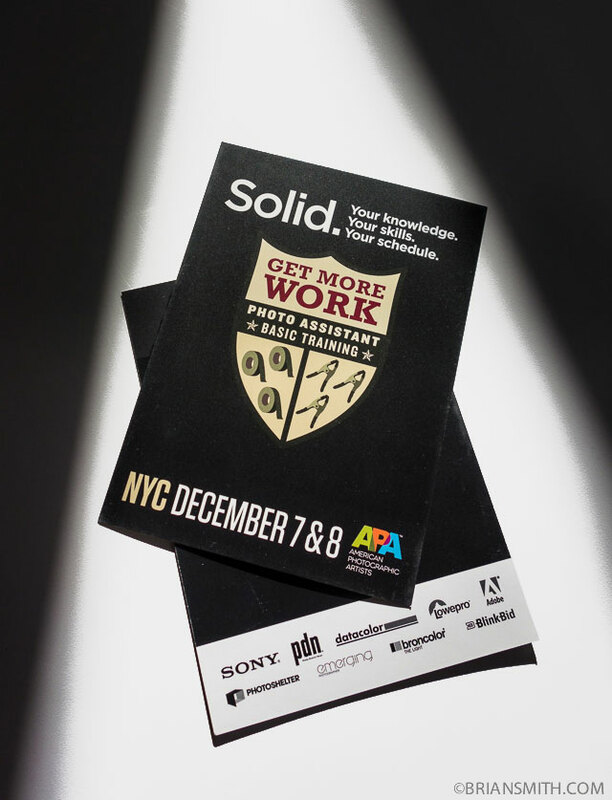 Join me and APA New York Chapter Chair Tony Gale in New York on December 7-8, 2013 for a great event for photo students, assistants and emerging photographers: Photo Assistant Basic Training. You’ll get expert instruction not available anywhere else with panel discussions, equipment demonstrations from industry experts, and hands-on training, attendees will come away with the essential knowledge and confidence to build your own Pro Assistant reputation. Acquire a comprehensive understanding of professional assisting behavioral guidelines, including contemporary set-etiquette, and discover how this valuable training will get you more call-backs – more repeat clients, more work.